An ancient cultural heritage site in the Egyptian city of Luxor as seen on the CAVEkiosk virtual-reality system. The University of California San Diego’s iconic, futuristic spaceship of a building, Geisel Library, will unveil its first virtual-reality 3-D display system during a public reception on Monday, November 7 from 10 am to noon. 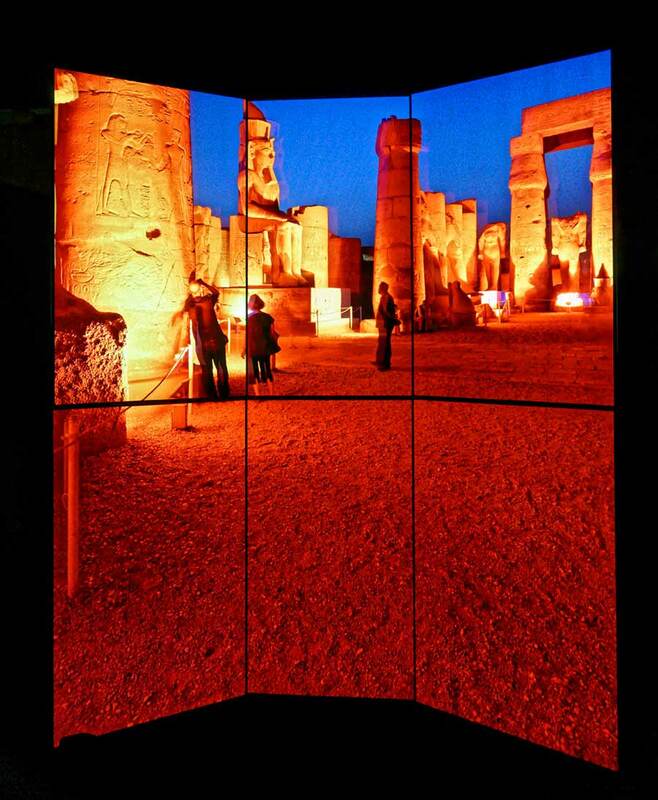 The life-size CAVEkiosk will be open to the campus community and the public at large, but it will also allow researchers to analyze and visualize 3-D data from at-risk archaeological sites in Egypt, Turkey, Jordan, Israel, Greece, Morocco and Cyprus. The At-Risk Cultural Heritage and Digital Humanities project, funded by a UC President’s Research Catalyst Award, leverages a 10-100 Gigabits-per-second network—the National Science Foundation-funded Pacific Research Platform (PRP)—to harness and preserve “big data” to ensure that endangered cultural heritage resources are preserved and safeguarded.